In old version WCF, configuration files generated at the client side will have all default setting and it looks complex. But in WCF 4.5, when you generate the configuration file using SvcUtil.exe tool or Service Reference only non-default value will be available in the configuration file. In WCF4.5, Using "SvcUtil.exe" you can generate only the contract files, in old version this feature is not available. 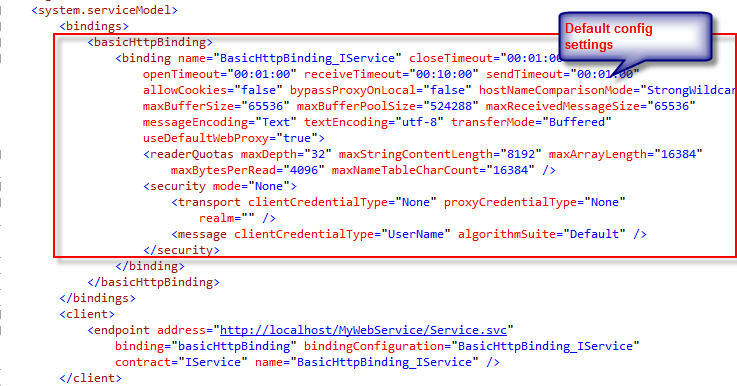 If you create the proxy using "SvcUtil.exe", system will generate the contract, service client operation and data contract in single "service.cs" file. If you want to generate only contract you can use this simple command "/serviceContract".